The world needs ideas !!!! Even for toys !!! It’s not about anymore if it can be done ! Yes, you can do it, if you have the idea ! Mattel (MAT) is teaming up with Quirky, a crowdsourcing platform for inventors that lets anyone submit an idea, as the toymaker struggles with lackluster sales. The site has previously landed products with Costco (COST), Home Depot (HD), Amazon (AMZN, Tech30) and Bed, Bath & Beyond. 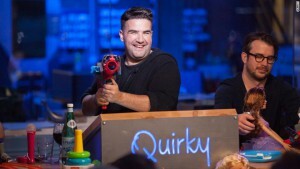 Quirky’s community of 1.5 million registered inventors will vote on the best ideas, which then will be jointly developed by the two companies and on store shelves in time for the 2015 holiday season. The initiative kicked off late Thursday, and Quirky founder Ben Kaufman is confident that he’ll have hundreds of ideas by the end of Friday. “Toys are one of our most popular categories,” he said, adding that the platform has gotten 15,000 toy-related ideas from its community since it launched in 2009. “But we now have the right partnership with Mattel to quickly commercialize some of these toy inventions,” he said.